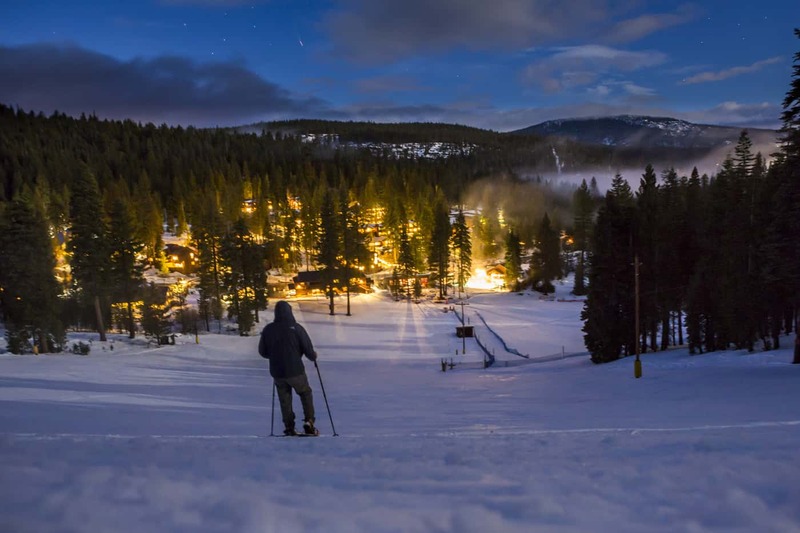 The snow is falling, and Tahoe is calling! Opening dates of December 14 have been set for all of the below activities and onsite concessions. Open 9AM-4PM Fridays-Mondays, and daily during holiday periods. Granlibakken’s onsite ski and snowboard hill is perfect for beginner to intermediate skiers and riders. 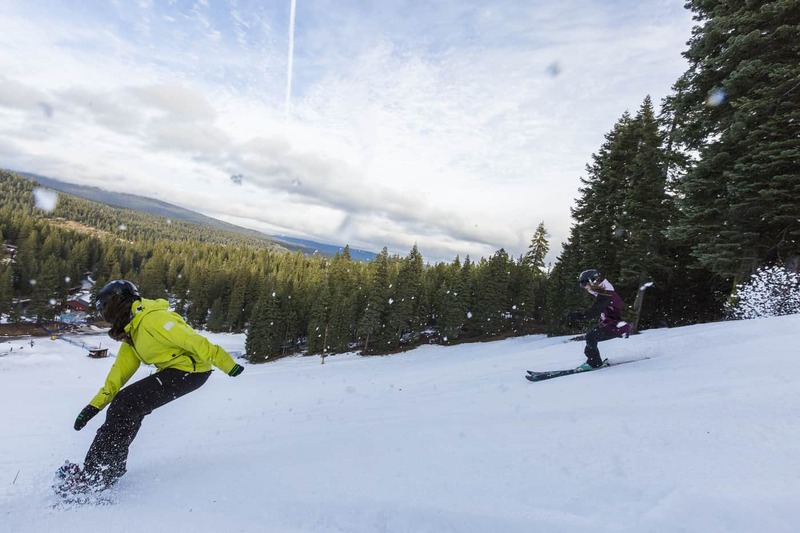 An intimate and approachable slope, a low-key atmosphere, and affordable rates are a few of the reasons why generations of Tahoe skiers and riders have learned to ski and ride here. Lessons and rentals are available at affordable rates, and the entire hill can be viewed from the ski hut deck–perfect for getting the kiddos on the slopes this winter! Granlibakken’s popular sledding hill is also scheduled to open December 14. A full day of sledding is just $17 ($18 holidays), and is half-priced for lodging guests. All day passes include a saucer rental. New this year! Skip the lines–buy your sledding tickets in advance here. The pristine 74-acre wooded valley that Granlibakken calls home is great for winter exploration. Granlibakken offers two groomed trails when weather permits. One is a 1.5 mile loop around the property, and the other is a 2 mile groomed portion of the trail up to Paige Meadows, a popular cross-country ski and snowshoe destination. 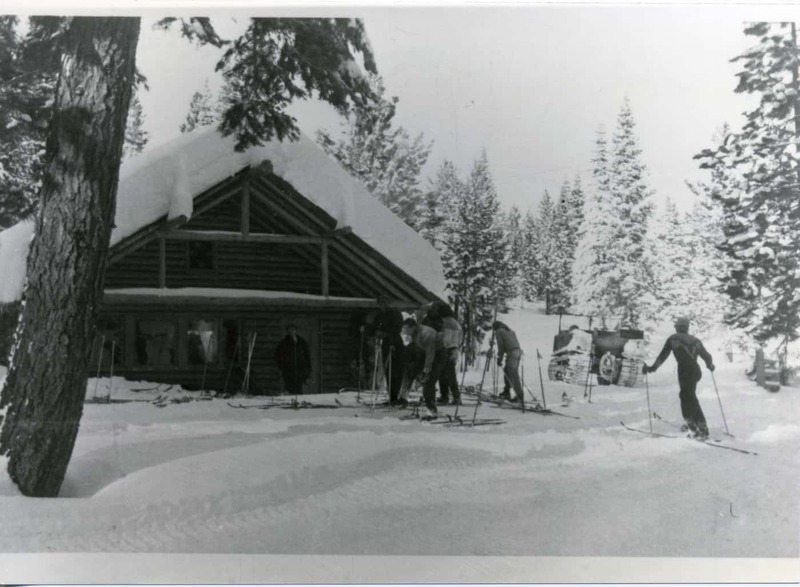 Rentals are available daily for cross-country ski and snowshoe equipment, learn more here. Granlibakken’s rental shop offers daily rentals at affordable rates. Alpine ski, snowboard, snowshoe, and cross-country ski equipment is all available daily. Rentals are on a 24-hour basis, so feel free to take your equipment to another resort and return it the next morning! Open 11AM-4PM Fridays-Mondays, and daily during holiday periods. Located in the historic ski hut at the base of Granlibakken’s ski and sled hill, Rusty’s Kitchen serves up freshly-made authentic Mexican fare as well as beer, wine, and snacks. Named for Kjell “Rusty” Rustad, the man who gave Granlibakken its name and who also constructed the ski hut, Rusty’s Kitchen offers some of the best Mexican food around at affordable rates. Located near the Ski Hut deck, the Gran Spot Barbecue serves up hamburgers, hot dogs, and veggie burgers. Grab a quick bite between sledding sessions and warm up at the outdoor fire pit. Open 8:30AM-4PM Fridays-Mondays, and daily during holiday periods. Stay caffeinated and make the most of your vacation! The Gran Spot Coffee Cart offers specialty coffee drinks, baked fresh daily pastries, and light snacks and drinks. Don’t forget the s’mores–s’more kits are for sale, toast up a marshmallow and enjoy skiing, sledding, and s’moring. Open 5-9PM Thursdays-Sundays, and daily during holiday periods. Closed Christmas Day and New Year’s Eve. The Cedar House Pub serves up delicious Pub food in an old-Tahoe lodge atmosphere. The Pub offers daily specials, a full bar, live music, and a family-friendly atmosphere. Stop by the Cedar House Pub for an après-drink or bite to eat. This entry was posted in Family Getaways, gutenberg, News & Updates, Recreation, Sierra Soul, Uncategorized. Bookmark the permalink.